As a kid, summer days spent at the pool were interrupted by 30-or-so minute periods during which grownups forced you to wait poolside after eating lunch or a snack. 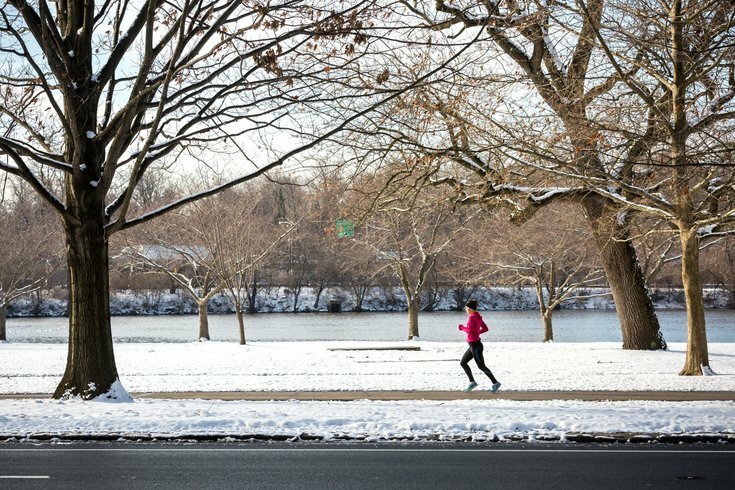 While that rule may have proven to be rather arbitrary, scientifically speaking, the same idea holds up — arguably stronger — when it comes to eating and running. Nothing is worse than having to call a run quits a mile in due to insurmountable stomach cramps or side stitches. Obviously, it’s important to properly nourish yourself before engaging in vigorous aerobic activity, like running, Livestrong reports. But running directly after you eat can leave you with a bloated feeling that could impact your performance. In extreme cases, interrupting your body's digestive process with sudden intensive activity can cause diarrhea or stomach pains — and nobody wants to deal with that mid-run. According to Livestrong, how long you should wait to run should depend on how much you've eaten and your own digestive system. As a general rule, give yourself at least an hour after a small snack, two to three hours after a small meal and three to four hours after a large meal. First, let's define a “large meal” as a meal containing more than 600 calories with several ounces of protein or meat, carbohydrates, and some fat — a typical lunch or a large breakfast. If you have a meal like this, you should wait three to four hours before running to give you body time to digest, Runner’s World concurs. Further, runners should keep in mind that digestion requires a good bit of the body’s energy. To facilitate the digestion process, the body directs more blood flow to the stomach and other internal organs to break up food and move it through the body —which is also the reason we feel like napping after a big meal, Runner’s World explains. This process is essential and completely natural, however increased blood flow to internal organs means less blood flow is available to the large muscle groups needed in running. When exercising, the opposite occurs — blood flow is redirected from internal organs to the large working muscles to provide the necessary energy for muscle contraction. When there’s a meal's worth of food in the stomach, running can be understandably difficult or uncomfortable because the human body is simply not designed to do both digestion and exercise at the same time. Stomach cramps, stomach aches or gastrointestinal distress are the most common complaints when trying to run on a full stomach, Runner’s World notes. If you’ve had a just small meal or snack, however, wait a minimum of 30 minutes or preferably one to two hours before going for a run, Healthline suggests. Another thing to factor into this eating-before-running window is what type of run, or the length of run, is ahead. Runs under one hour can be completed sans snack, needing only water or a sports drink along the way. For runs longer than an hour (or for very intense exercise), you’ll need to take in a form of carbohydrates, such as a sports drink or energy gel, for every hour you’re running for longer than 75 minutes. The best thing to do is experiment in your training with eating and running will let you know just how much you are able to eat (or not eat) before a run.